One of the most frequent questions we’re asked here at True North is about Required Minimum Distribution (RMD) Rules. These are mandatory withdrawals from your IRA and 401k accounts once you reach age 70 ½. But the RMD rules are complex (thanks lawmakers), and somewhat silly – who keeps track of when they turn 70 ½ anyway?! 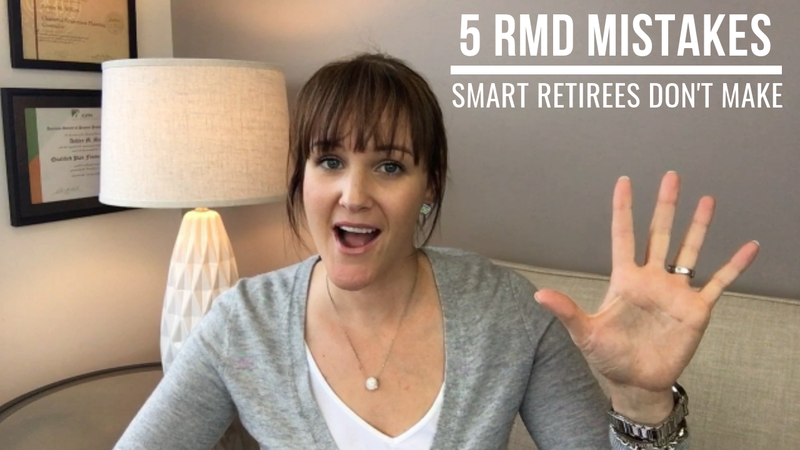 In today’s blog post and video, we are focusing on the 5 RMD Mistakes That Smart Retirees Don’t Make. The people who DO make these mistakes often leave money on the table or they overpay in taxes. This is mostly due to the fact that the rules are complicated and it’s hard to know how to apply those rules to your unique situation. But when you understand these common mistakes, you can avoid these pitfalls and make smart decisions with your RMD! RMD rules are complex and not at all intuitive. Kind of like the rules of golf. My personal favorite nonsensical rule is the one about when you can and cannot clean your golf ball. According to the USGA: A player may clean his ball at any time when it has been lifted, except for when it has been lifted under Rule 5-3 (Ball Unfit for Play), Rule 12-2 (Identifying Ball), and Rule 22 (Ball Interfering with or Assisting Play). To further clarify (ahem, complicate) the issue, we have a decision. Yes, I own a decisions book! If you’re a golfer, go get yourself a decisions book. It’s a deep dive into pretty much every rule and every possible situation you could face on the golf course. Decision 20-1/0.7 (Lifting Ball to Determine Application of Rule) further stipulates that the ball may not be cleaned when it is lifted to determine if the player is entitled to relief under a Rule (e.g. whether the ball lies in an abnormal ground condition or is embedded in its own pitch-mark). There are 5 common mistakes that are easy to make if you don’t understand the RMD rules. So today, I’m going to focus on what I think are the top 5 RMD Mistakes that Smart Retirees Don’t Make. RMD Mistake # 1: Not realizing there are different RMD rules for 401(k)s, Traditional IRAs, and Roth accounts. The operative word here is “generally” because the rules for account types actually differ. Roth IRAs have no RMD requirements, but Roth 401(k)s do have required minimum distributions. For Traditional IRA accounts, you must take your RMD at 70 ½, even if you are still working. If you are a 5% owner of the business. In this case you must begin RMDs at 70 ½, even if you are still working (more on this below). The key here is to realize that you may be able to delay RMDs if you’re still working. To avoid RMDs from your Roth 401(k), you should consider rolling it over to a Roth IRA before RMDs begin. The required minimum distribution rules allow you some flexibility in the first year. You can actually delay your first RMD until the following year. This allows you to wait until April 1 of the year following the year in which you turn 70½. But here’s the problem with waiting. Since you must take 2 RMDs in that following year, it could double your taxable income from your RMDs. Because your income (AGI) will be higher that year, it could potentially have a ripple effect on your tax situation. Higher AGI could potentially impact social security taxation, capital gains taxes, phase-outs of certain tax credits, so you need to be careful here. This is especially true if you are like most of our clients where your RMD is substantial enough to have a material impact on your taxes. Talk to your tax advisor to see what makes the most sense. But unless you have a strategic reason for delaying your first RMD, you may not want the extra income and potentially higher taxes because you waited to take your RMD. I was talking to a client the other day about his RMD and we were strategizing about what to do for his RMD this year. He doesn’t need his RMD for income and he would prefer to keep the money invested. We were talking about the best strategy for his unique situation. Many clients that we work with don’t need their RMD. They often have other income sources that cover their needs or they prefer to take income from their taxable investments instead. Whatever the reason, if you don’t rely on your RMDs for income, AND you contribute to charity, making those contributions directly from your IRA to charity can be a powerful tax-saving tool. Since this is really a tax issue, ask your tax advisor to run the numbers for you. They should be able to run a side-by-side comparison for you based on how much you’re giving. This is actually the topic of our next video, so we’re going to go a lot more in depth here. 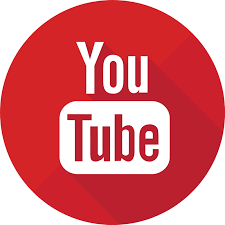 Be sure to subscribe below if you want to do a deeper dive with us on making charitable contributions directly from your IRA. We’re going to go through an example of how this is done in the real world and a side-by-side comparison of the tax impact of implementing this strategy. But for now, the bottom line is to remember that if you are contributing to charity and you are taking RMDs, consider adjusting those charitable contributions to come directly out of your IRA. Are you one of those people with 12 old 401(k)s still at your old employers and 3 different IRA accounts, all at different financial institutions? Consolidate those accounts! If you do, you will only need to take one RMD, greatly simplifying your life and reducing the chance of calculating wrong and not taking enough out. Which in turn, leads to tax penalties on the amount you fail to take out. Calculate each RMD separately. Aggregate the total RMD amount and withdraw that amount from just one IRA. Withdraw the RMD from each account separately. There are several practical reasons why you would want to aggregate your RMD. We usually like to aggregate RMDs and withdraw from one account when possible. This becomes complicated and easy to mess up if you don’t consolidate your assets under one roof, especially if you maintain old 401(k) accounts. Considering that a lot of our clients are business owners and many of them are still working past age 70 ½, we talk often to our business owner clients about the nuances of the rules that apply to them. 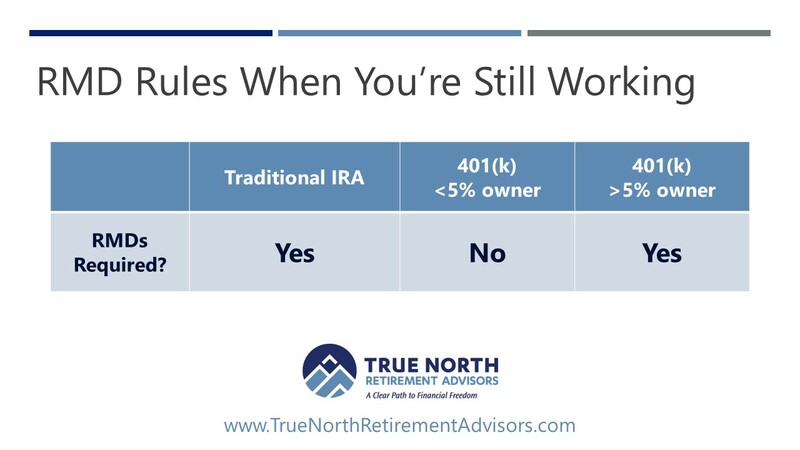 The rules ARE different for business owners, so it’s important to understand how these rules differ if you are working or plan to work past age 70 ½.
I talk to many business owners who don’t fully understand the RMD rules. They think that once they reach 70 ½, they have to start taking withdrawals and they can no longer contribute to the 401(k) plan. This is a fallacy. If you own more than 5% of the business, you are required to take RMDs at age 70 ½, unlike your employees who can delay taking their RMDs from the current 401(k) plan until they stop working. However, even though you are required to take a RMD, you can still make contributions to your 401(k)! It seems a little counter-intuitive, right? The government is forcing you to take withdrawals, BUT you are allowed to contribute to the 401(k) plan in your business. As an owner, when you combine your 401(k) deferrals, company match, and profit sharing contributions, you can still get a substantial amount of money into your 401(k) plan, even though you must take the required minimum distribution once you reach 70 ½. By still making contributions past age 70 ½, you can also offset any taxes owed on RMDs, often achieving a net deduction. Want more clarity about your RMDs? Pay close attention to how you want to handle your RMDs. Often, it’s not as simple as calculating and taking the required amount out of your account each year. You can use the rules to your advantage by being smart about the timing of your withdrawals, how you incorporate your RMDs into your charitable giving, and understanding special rules if you are a business owner. We know the rules for RMDs are a just a tad complex. If you want answers about how to handle your own RMDs; answers uniquely tailored to your situation, then schedule a RMD Clarity call! It’s free, incredibly valuable, and pinky swear promise, it’s a no pressure, no obligation, and no sales pitch call! Click on the button below to access our calendar and schedule your RMD Clarity call! Thanks for reading! Did this answer your questions? Did you find it valuable? 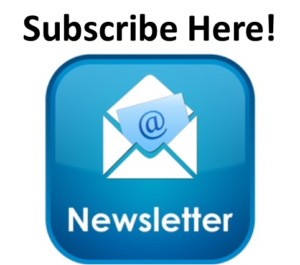 Please subscribe to our newsletter below! This is just the first part of an entire series on RMDs, so when you subscribe, you will be the first to receive our next RMD nugget. 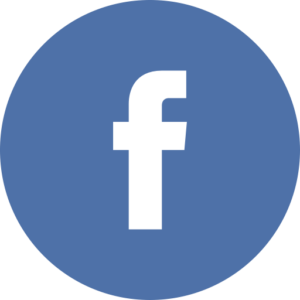 When you “like” our Facebook page and/or subscribe to our YouTube channel, you can leave questions and comments on these articles. Chances are, if you have a question or need some more clarification, someone else does too!